The Shore’s 30-minute span is enough to detail a story, though barely: the back-story has to be detailed in a five-minute monologue from Joe to his daughter. To be fair, though, the actor who portrays Joe is the best one there, so it’s a smart choice to give him the heavy lifting. The only noticeably poor actor is the daughter Patricia, in fact, probably because most of the others are older, with more acting experience. Patricia’s slightly forced and ham-handed emotions were a little distracting. The film’s slow-paced atmosphere and beautiful location definitely helped to communicate the universal emotions of love and loss covered by the short film. I spent my last spring abroad in Ireland, and the sense of the people in the film was the same as the sense I got while visiting the actual country. While the film is only 30 minutes long, its penchant for lingering shots of cold Irish hills and numerous subtle reaction shots made it feel cinematically lengthy. This fact might stand against the assumption that short films are the future of cinema due to the shortening attention spans of the internet generation – if the film has less information in it than a typical, frantically cut Youtube video, it will still feel tedious. For now, though, the style is what qualified the film for its 2012 Academy Award for Best Live Action Short Film, so no one’s too upset about it, I suppose. I appreciated the film for the fleshed-out, realistic reminder it gave me of Ireland, and Irish life, and for the fact that it didn’t have an entirely sappy ending – the fact that Joe doesn’t tell Paddy the truth and allows Paddy to be the guilty one is, in my book, not an entirely perfect ending. And since I don’t enjoy entirely saccharine storytelling, I appreciate the touch. 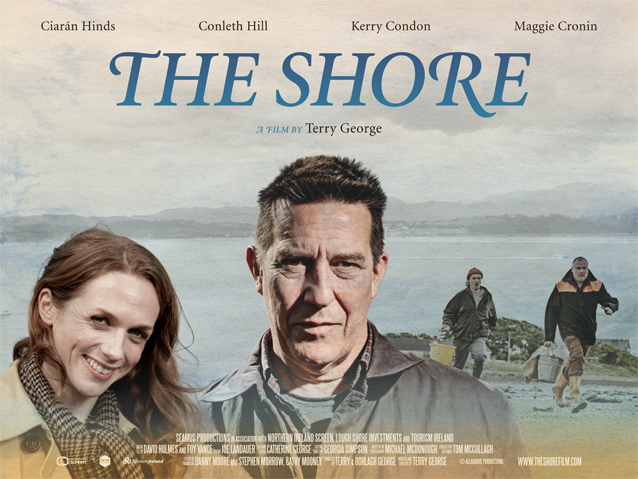 This entry was posted in Film Reviews and tagged Academy Award, acting, Ireland, short film, The Shore. Bookmark the permalink.